Our CEO at “Meet the Digital Gurus Talk” event by The Black Tie Service. 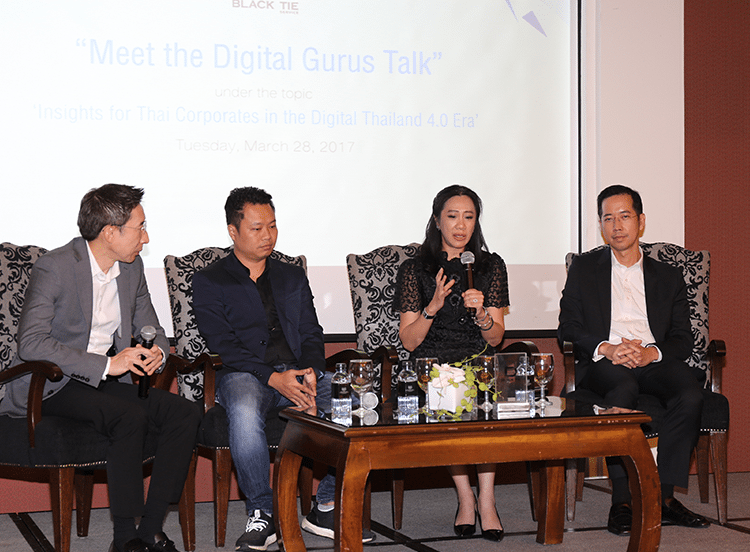 An insightful event for Thai corporates in the digital 4.0 Era, this event was filled with many people in the leading technology industry. Dr. Nithinart Sinthudeacha, Beryl8’s CEO was invited as one out of the four gurus for a speech. She has pointed out how technology and innovation matter inside a corporate. We would like to thank The Black Tie Service for choosing us!